Investigator Elvis Cole and his partner Joe Pike take on the deadliest case of their lives in the new masterpiece of suspense from #1 New York Times-bestselling author Robert Crais. It seemed like a simple case--before the bodies started piling up . . . When single mother Devon Connor hires private investigator Elvis Cole, it's because her troubled teenage son, Tyson, is flashing cash and she's afraid he's dealing drugs. But the truth is devastatingly different. With two other partners in crime, he's been responsible for a string of high-end burglaries, a crime spree that takes a deadly turn when one of them is murdered and Tyson and his girlfriend disappear. They stole the wrong thing from the wrong man. Determined to get it back, he has hired a team that is smart and brutal, and to even the odds, Cole calls in his friend Joe Pike. But even they may be overmatched. The hired killers are leaving a trail of bodies in their wake. A few more won't make any difference. 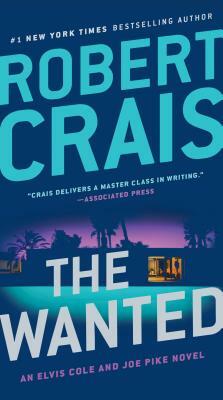 Robert Crais is the #1 New York Times bestselling author of twenty novels, sixteen of them featuring private investigator Elvis Cole and his laconic ex-cop partner, Joe Pike. Before writing his first novel, Crais spent several years writing scripts for such major television series as Hill Street Blues, Cagney & Lacey, Miami Vice, Quincy, Baretta, and L.A. Law. He received an Emmy nomination for his work on Hill Street Blues, and one of his standalone novels, Hostage, was made into a movie starring Bruce Willis. His novels have been translated into forty-two languages and are bestsellers around the world. A native of Louisiana, he lives in Los Angeles.